doGoodr technology was launched as a web-based community in June of 2009. Its technology was acquired by Environmental Media Fund in 2011. doGoodr's unique search / match software capabilities are now available to third party users as private labeled web-based or mobile applications. 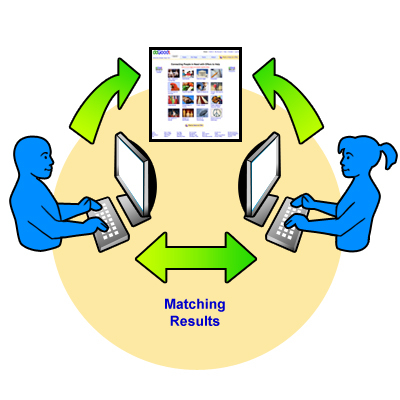 doGoodr search / match technology solves several fundamental problems with large, web-based, user driven content, database applications in a very lightweight and flexible way. (2) The ability to match user interests and passions with specific information, events, people and actions, and vice versa, without elaborate advanced search requirements. (3) Elegantly prioritized lists of results sorted in the order of their relevance to the users query. If you are in need of a way to facilitate interaction and discoverable connection amongst a wide range of user types or members of a specialized web-based community, doGoodr technology can provide a search and match solution that is unparalleled. doGoodr technology is open source and easily adaptable to most existing technology platforms. For more information or to schedule a free consultation and demonstration of our technology's capabilities, please email us or contact us at (415) 381-3887.